Everybody has their favorite chocolate chip cookie recipe, right? I finally have my go-to and my husband gives me the look if I consider changing it up. However curiosity got the cat recently when my friend Rachel posted her family’s favorite chocolate chip cookie recipe. So one morning while my husband was out I snuck into the kitchen to follow through on my deceit. The cookies he would be eating that afternoon were going to be impostors. Would he notice? Would I get the look? Well, as it turns out I am not so good at being sneaky. I should have known better. As fate would have it there were no chocolate chips to be found in my house. After I hummed the Twilight Zone tune in my head for about 30 seconds I reached for the bag of white chocolate chips and moved on with my day. As I was reaching back there I saw a lonely bag of Craisins and I decided to throw them in too. I took them to a family gathering that evening and I think they were gone before dinner was even served. As it turns out this dough is just really fantastic. Feel free to add in whatever your family loves or whatever the baking gods put in your pantry that morning. There is a lot of weird measuring going on in this recipe so if you have a school-aged child who needs a little hands-on math this summer then recipe is for you. **Bonus** If you visit Rachel’s recipe she made her cookies into ice cream sandwiches!! Preheat oven to 375 F. Combine flour, baking powder, baking soda, and salt in a bowl; set aside. Cream butter and sugars. Slowly add in egg and vanilla. Scrape down the sides of your mixer and slowly add the dry ingredients. Fold in chocolate chips and cranberries. Use a medium cookie scoop (about 2 tablespoons) to drop cookies onto your baking sheet. Do not overcrowd the sheet. Bake for 8-10 minutes (until the edges begin to turn golden brown). Let cool on the baking sheet for 5 minutes before transferring to a cooling rack. Oh my goodness! I need those now! 🙂 I'm so excited that you are posting again!!!! Delicious! My hubby much prefers white chocolate and craisins over chocolate chips and nuts…this is a winer! Yum! White Chocolate and cranberry is such a tasty combination. These sound heavenly! This cookies looks so perfect .. the combination of chocolate and cranberry .. perfect:! They sure do look delicious! A delightful cookie and I could eat them all right now. All those cookies and a cup of coffee or a quart of millk. They look yummy! My husband hates it when I mess around with his favorite chocolate chip cookie, too. But I did try a white chocolate pecan cookie and he tried it but wasn't sent away. Tell me — because I really do want to please him — is this a soft, moist cookie? That's his test. They do look great! No chocolate chips, that is almost illegal! My mother-in-law makes these and my kids absolutely LOVE them! It's one of those things that "only Grammy" can make – mom's not allowed. I love that you didn't do the same old chocolate chip cookie. Wonderful flavor combination! This is delicious! These cookies will be my kids snack for the next week. Thanks for sharing! Perfect with hot chocolate for me… pure relaxing moment 🙂 Got to make this soon! Thanks for sharing dear ! Gone before dinner was served is quite a recommendation! Love the fruit and the white chocolate. I don't see these guys lasting long at our house, white chocolate is a particular favorite with my son. Gorgeous shots too! 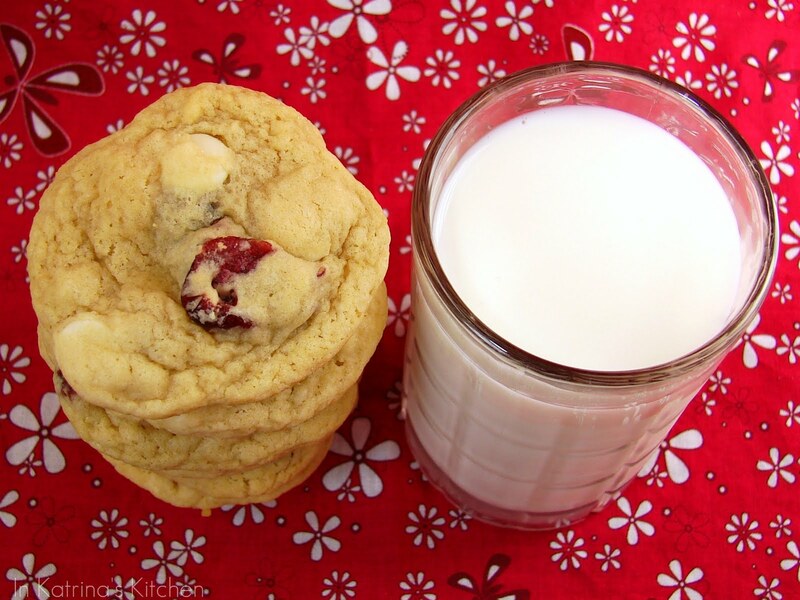 I love the cranberry and white chocolate combo, so good together. I always make these at Christmas. i throw in a little oatmeal sometimes to make them healthier. I have a friend who just loves cranberry/white chocolate combination. Every year she asks me to make her a white chocolate/cranberry/pistachio bark. Even though she can make it herself, she says it tastes better when some else makes it..lol. I'm thinking she would go nuts for these!! These kind of cookies are soooooooo good!! I traditionally make them every year at Christmas. I love how the red and white reminds me of the holidays. Sometimes I make them with oatmeal. They really are perfect for all year round! These might be a tad dangerous to have around the house, just might have to go throw some of these in the oven. Hope you have a great week. 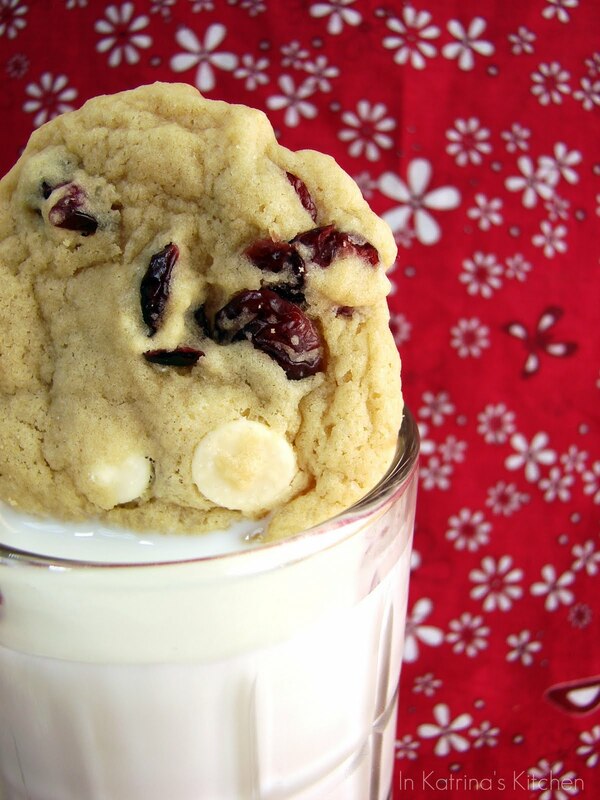 White chocolate and cranberries are one of the best combos ever! Not only does those cookies look delicious but sooo pretty! My kids would go nuts over them! Wonderful post, and as always funny and interesting!!! Ooooooooo! It's like Christmas in July. Sounds very creamy, sweet and yet tart. how delicious!!! I love this! 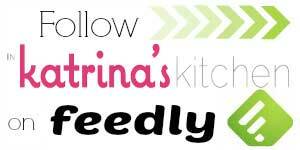 We just started following you! 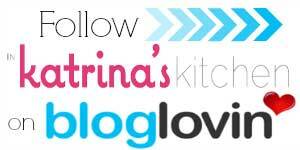 I saw you on Cleanliness is Next to Godliness' blog!! These sound awesome…I have been eating dried cranberries for a snack a lot lately, paired with white chocolate…yes., please!! I love white chocolate chip cranberry- super great combo! Have you tried those Kraft Caramel bits? 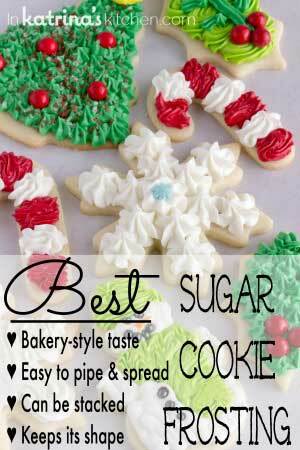 I make a similar cookie and add those in as well. For some reason boys especially love them! That sounds amazing!! What a great add-in! I love the white chocolate and cranberry combo! I definitely prefer these to chocolate chip cookies. Yum! The cookies look great ,the pairing of white chocolate chips and craisins amazing!! !Both my husband and I would like the whole batch! (Never mind my kids..) Have a great week,Katrina! Love the combo of sweet chips and tangy craisins! Pinning this one for the next bake sale at work…we do lots of fundraisers, and I'm always looking for new cookie recipes to share! OH wow these cookies looks to die for! Thanks for sharing the recipe. Definately have to try these today! Love the cookies and love the bonus points with the maths. Great for the kids this summer and they can throw in their fav treats, too; fantastic! They look wonderful! 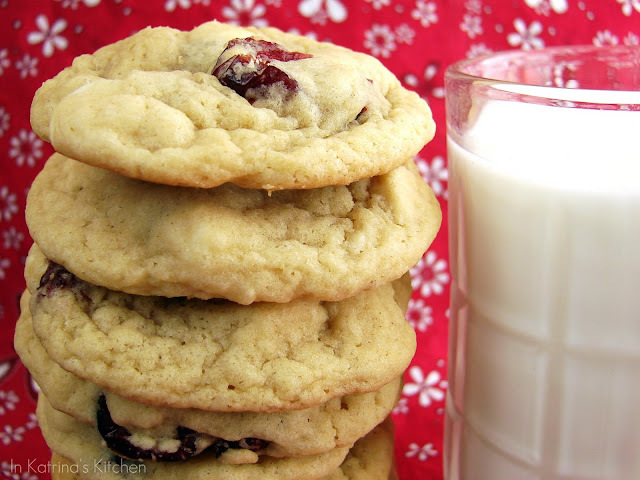 I love cranberries in cookies, so I know I would love these! We always have these cookies at Thanksgiving. I definitely give my thanks for having 1/2 the batch. These look great! Well I was going to make Oatmeal Raisin cookies this week… But you've convinced me to make these instead! They look fantastic! Love this combo SO much! They sure look good, my husband would certainly love those since he loves white chocolate. PS, Im glad Im not the only one that has random theme songs playing in their head throughout the day. I think this is my new favorite cookie. I love white chocolate and cranberries together 🙂 These cookies sound fantastic! Wow! That is a lot of really random measurements. So…did the hubby try them??? Thoughts?? They look amazing! 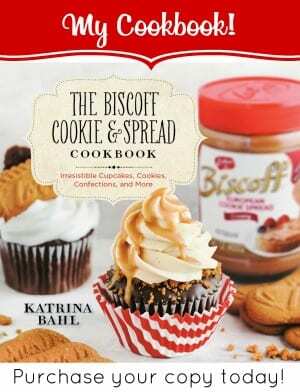 I definitely have my favorite chocolate chip recipe but I may need to try these too. These look delicious, Katrina! Nicely spotted and fantastic additions. Surely nobody will be upset by these beautiful babies. Oh my gosh I get that look too! Why is it men like what they like and seldom agree with a change, even a temporary one! These cookies look to die for! No wonder it's your go to recipe. On google+ yet? If you want an invite just lemme know! I can see how these cookies would disappear before your eyes – love craisins in just about everything! 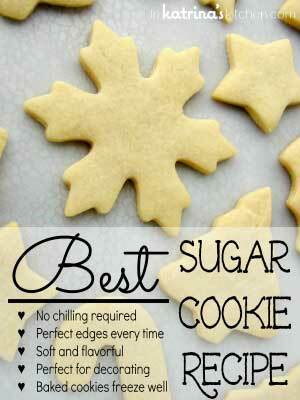 The baking gods surely were looking after you!